Create Amazing Custom Animations Quickly! With Crayola Easy Animator, you can easily create custom animated videos using your own character designs! 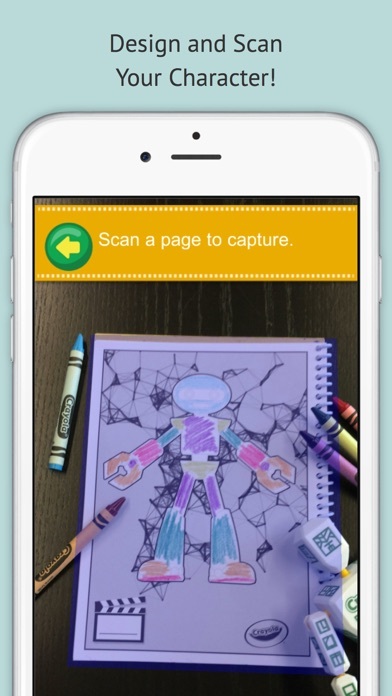 Use in-app characters, or design your own on an Easy Animator Coloring Page and scan it with the app using your device’s camera. Your design becomes a 3D character on screen! 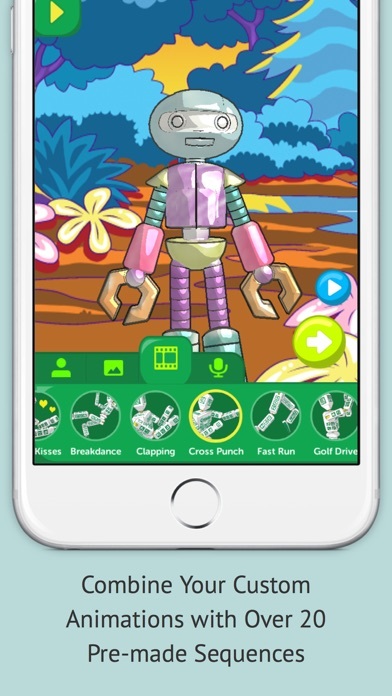 Choose cool moves for your character, create custom backgrounds, record your own voice and sounds! You can also playback your video and save your creation. 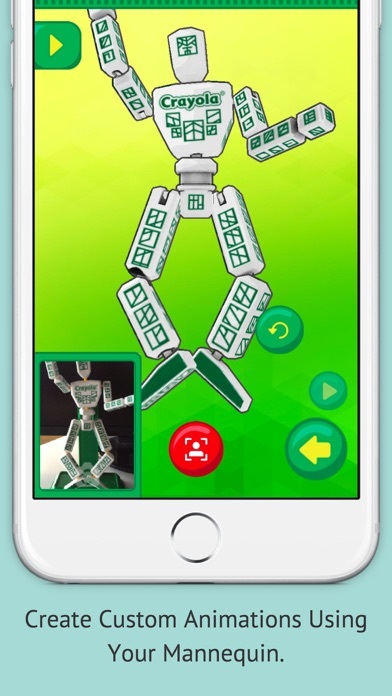 If you have the Crayola Easy Animation Studio, place your mobile device on the included stand and position the posable mannequin in front of your device. Move the mannequin into a series of poses. 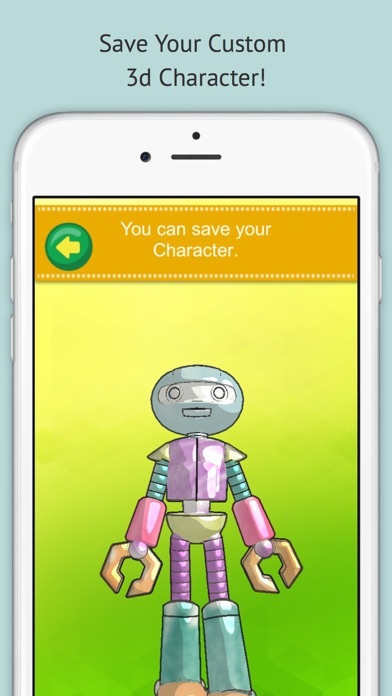 Your on-screen character mimics the mannequin's position and the app captures the action. Easy Animator creates additional animation in between your captured poses for full, smooth motion! Your favorite poses can also be saved and applied to any character, allowing you to create custom animated videos with unlimited creative possibilities! FEATURES • Design your own character from scratch using one of ten different templates! • Includes custom-built, high-quality animation sequences such as: Breakdance, Back Flip, Golf Drive, Air Spin, and many more! • Create custom colored backgrounds with one of six designs or take a custom photo. • Record your own voice, sound effects and music to complete your custom video creation. • The Easy Animation Studio retail package includes: o	Fully articulated and posable Mannequin that allows you to create custom poses and animations. Using Smooth Action Technology, only a few mannequin poses are needed to create a smooth, fully rendered animation. o	Custom Design Booklet with characters & backgrounds, Twistable Colored Pencils, Mannequin & Device Stands. o	For more information visit: www.Crayola.com/EasyAnimaton HONORS • Popular Science : Best of Toy Fair 2015 • Techlicious: Best of Toy Fair 2015 How To Get Started • Download the free Easy Animator app and print out the free page for the front and back of your character • Color your character, then capture within the app • If you do not have Crayola Easy Animation Studio, begin animating by simply choosing one of the many pre-built animation clips and sequence them together to build your full animation creation! • If you have Easy Animation Studio, position the mannequin in front of the device (in stand) and begin posing the ‘start’ and ‘stop’ positions of your animation. Tap the capture button to add a pose to the timeline. The app fills in the rest! • Visit Crayola.com to find out more • Check your device's compatibility, How to Animate! instructions, and watch a demo video at www.Crayola.com/AppCheck Please Note: • An Internet connection is required to use all of the features of this app • This app only works with Easy Animator Coloring Pages For more information, go to www.Crayola.com/EasyAnimation Powered by DAQRI 4D Technology, the industry leader in AR.